Please join us this winter and spring (and summer…) as we present some great workshops! 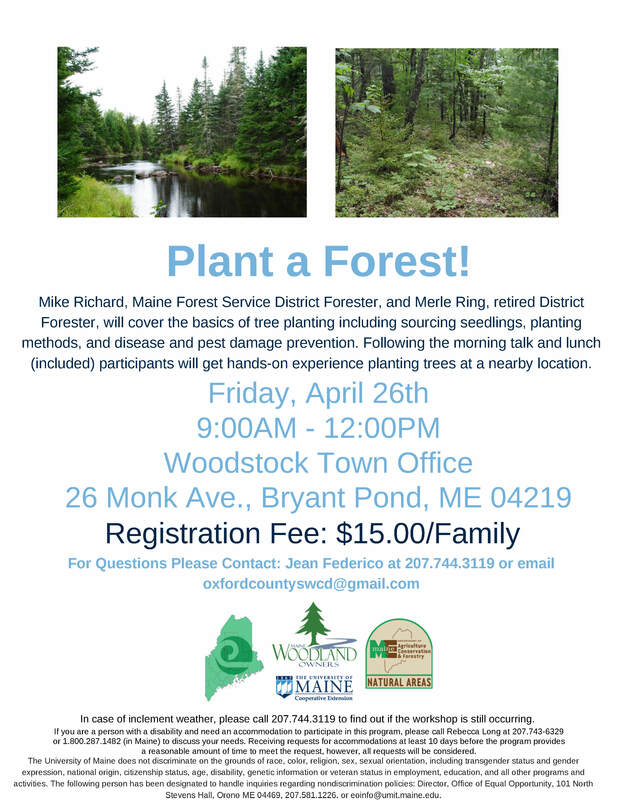 We’re joining with UMaine Cooperative Extension, Maine Forestry Service and Small Woodland Owners for some of them! Stay tuned for updates. …and on Thursday, May 2nd we’ll be presenting another in the series! 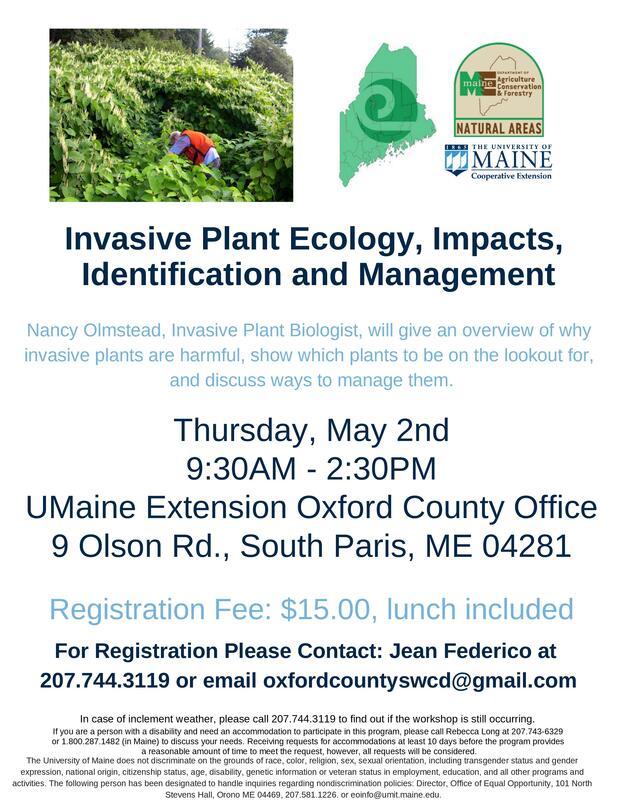 Watch for an exciting opportunity to learn about Growing Christmas Trees with the last workshop in this series, coming in June! Don’t forget the Annual Photo Contest will begin in June! The annual photo contest begins on June first and ends on October 31st. All programs and activities of the Oxford County Soil & Water Conservation District are offered on a non-discriminatory basis without regard to race, ethnicity, color, national origin, religion, gender, age, sexual orientation, marital or family status, political belief, citizenship status, veteran’s status or disability.